By a News Reporter-Staff News Editor at Women's Health Weekly -- Don't doubt it when a woman harried by hot flashes says she's having a hard time remembering things. A new study published online in Menopause, the journal of The North American Menopause Society (NAMS), helps confirm with objective tests that what these women say about their memory is true (see also The North American Menopause Society NAMS). In the past, some studies showed that hot flashes were related to memory problems, and some didn't. Other studies showed that, even though there was a relationship between hot flashes and what women said about memory problems, objective tests didn't confirm it. That's why researchers from the University of Illinois and Northwestern University in Chicago gave a battery of eight tests of attention and recall to 68 women age 44 to 62 who had at least 35 hot flashes a week. The women also completed questionnaires about their menopause symptoms, mood, and memory. Women who said they had trouble with memory really did. Also, those who had more trouble with hot flashes did worse on the tests, and women with more hot flashes struggled longer with memory problems than women who had fewer hot flashes. In addition, women who reported more negative emotions did worse on the tests than women who had fewer. 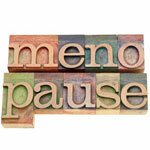 Supported by grants from the National Institute of Health (NIH)/Center for Complementary and Alternative Medicine, the study will be published in the December 2013 print edition of Menopause.